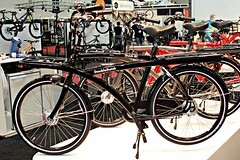 Brad Roe, Editor Road Bike Action, has uploaded photos for Bike Hugger from Eurobike. The first few are streaming in, including this Double Dutch. Uploaded by rbabrad | more from the Bike Hugger Photostream.